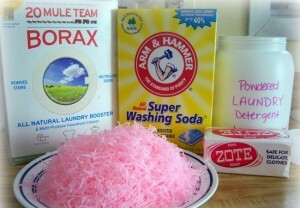 Making powder laundry soaps at home offer you an eco-friendly, yet cheap way of doing your laundry. Being non-toxic, they score over their commercial counterparts. Here are a couple of easy recipes for you. Shave the soap bar using a hand grater. 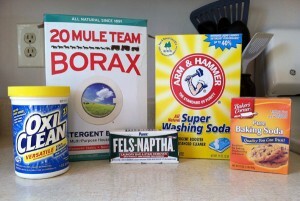 Add the borax and washing soda and stir thoroughly for a nice blend. 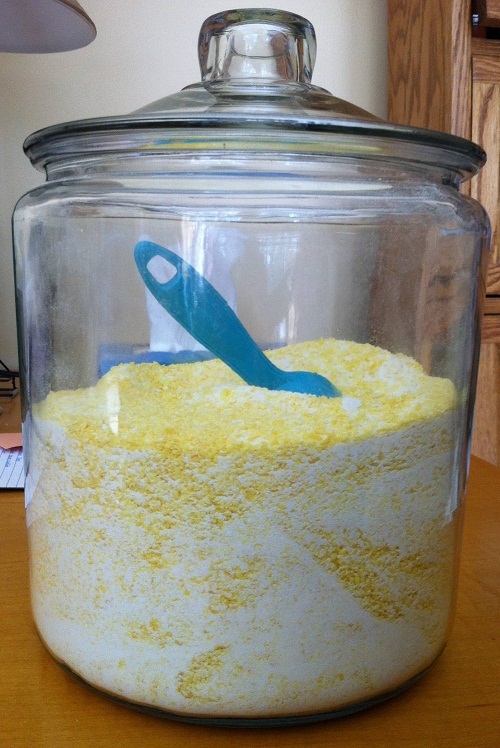 For the detergent to dissolve easily, even in cold water, use a blender or a food processor for combining. For front loaders, you require 1 tbsp for small loads, and 2-3 tbsp for heavily soiled or large loads. If you have very hard water, you might need to use even more. For top loading machines, add 1 tbsp more for each of the loads mentioned above. Since the hypoallergenic powdered soap is low on suds, it can be safely used in HE washers. The fact that it contains no phosphates and fillers makes it suitable to use with septic tanks without any fear of clogging lines. When washing whites, you can add ½ cup of OxiClean or cheaper still, Sun Oxygen Cleaner to the mixture. 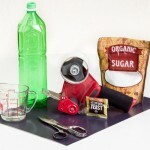 Another option is to put ½ a cup of peroxide in the bleach compartment as it works together with the washing soda to provide the same effect as OxiClean. If you do not want to use Purex crystals you can keep a bottle of lemon essential oil close to your laundry soap. Add 5 drops to each load for a good smell. It aids in removing stains and grease as well. 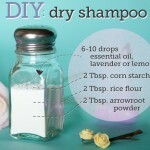 Make your own lavender laundry detergent powder by adding 20 drops of lavender essential oil to the mixture. Leave out the Purex crystals in that case. Combine all the ingredients together in a container. Use 1 tbsp per load. You would require 2-3 tbsp for heavily soiled diapers. The recipe is safe for people with sensitive skin. 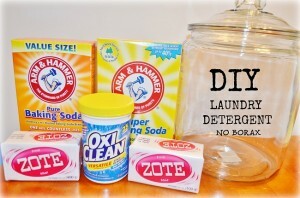 For additional fabric softening benefits, add half a cup of vinegar to the rinse cycle. 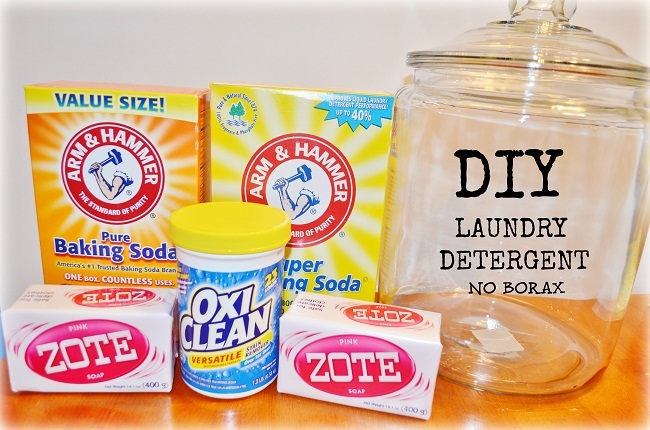 You will love it when the homemade detergents will make your clothes squeaky clean. 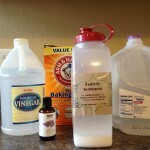 Unlike liquid laundry detergents, they are simple, quick to make and easy to store.